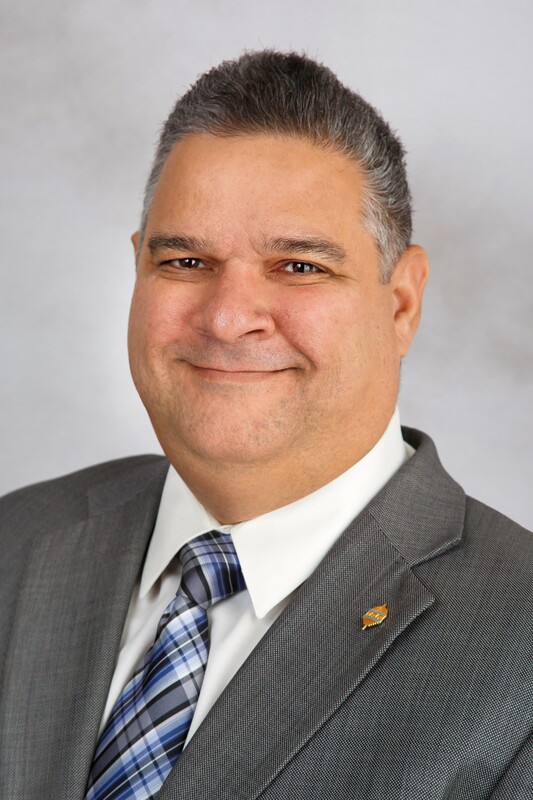 FORT LAUDERDALE/DAVIE, Fla. – Nova Southeastern University (NSU) President Dr. George Hanbury today announced the appointment of Daniel Alfonso, M.S., as the university’s new vice president of facilities management. Mr. Alfonso, who previously served as the city manager for the City of Miami, joins NSU on Dec. 18, 2017. In his role, Mr. Alfonso will be responsible for the creation of innovative partnerships to meet expanding academic and student-support needs, the development and build-out of a new 30-acre campus in Tampa Bay, the university’s master plan for facilities, ongoing and future construction projects and public safety. He will oversee the maintenance and renovation of the buildings, grounds and infrastructure of NSU’s Fort Lauderdale/Davie and regional campuses throughout Florida and in Puerto Rico. He is also responsible for ensuring the safety of students, faculty, staff and visitors. Under his supervision and guidance, NSU will continue to ensure its facilities support NSU’s student-centered vision by featuring modern classrooms and research facilities to be utilized by students, faculty and staff. He will also oversee NSU’s continued effort to advance sustainability through waste reduction, recycling and energy management programs. At the City of Miami, Mr. Alfonso was instrumental in improving the bond rating from BBB to AA, and improved the fund balance from $13 million to $150 million. Under his leadership, the city funded and started the environmental clean up on its parks and Seybold Canal. He also oversaw the funding and initiation of the rehabilitation of Historic Marine Stadium and a new facility for the Parks and Public Works Operations building. One of Mr. Alfonso’s lasting legacies will be the establishment of the Offices of Strategic Planning, Innovation and Resiliency to prepare for the City of Miami’s future. Prior to his six years of service to the City of Miami, Mr. Alfonso spent 17 years with Miami-Dade County where he oversaw more than $200 million in construction projects, including the Children’s Courthouse, Tax Collector’s office building and parking garage, and Overtown Transit Village Office towers. He also oversaw the county’s facilities management division. Mr. Alfonso earned a Master of Science in Finance degree at Florida International University (2002) as well as a Bachelor of Business Administration with majors in Management and International Business (2001). He also earned an Associate Degree in Accounting at Miami Dade College. Mr. Alfonso is a veteran of the United States Army, having earned the rank of sergeant. About Nova Southeastern University (NSU): Located in beautiful Fort Lauderdale, Florida, Nova Southeastern University (NSU) is a dynamic research institution dedicated to providing high-quality educational programs at the undergraduate, graduate, and first-professional degree levels. A private, not-for-profit institution with more than 26,000 students, NSU has campuses in Fort Lauderdale, Fort Myers, Jacksonville, Miami, Miramar, Orlando, Palm Beach, and Tampa, Florida, as well as San Juan, Puerto Rico, while maintaining a presence online globally. For more than 50 years, NSU has been awarding degrees in a wide range of fields, while fostering groundbreaking research and an impactful commitment to community. Classified as a research university with “high research activity” by the Carnegie Foundation for the Advancement of Teaching, NSU is 1 of only 50 universities nationwide to also be awarded Carnegie’s Community Engagement Classification, and is also the largest private, not-for-profit institution in the United States that meets the U.S. Department of Education’s criteria as a Hispanic-serving Institution. Please visit www.nova.edu for more information about NSU and realizingpotential.nova.edu for more information on the largest fundraising campaign in NSU history.